Rhamnus frangula. 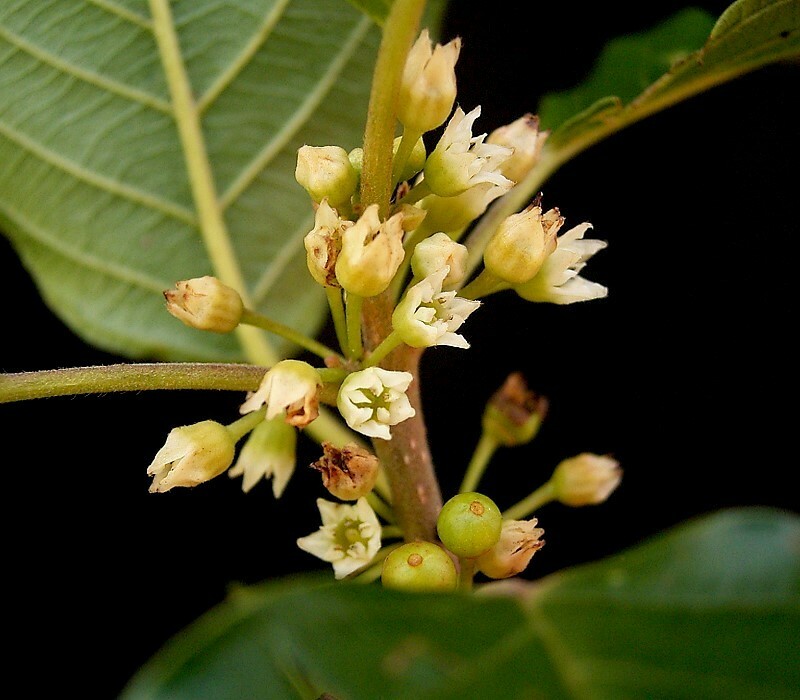 Copyright © 2001 by Kevin C. Nixon.www.plantsystematics.org (Accessed 7/2014). 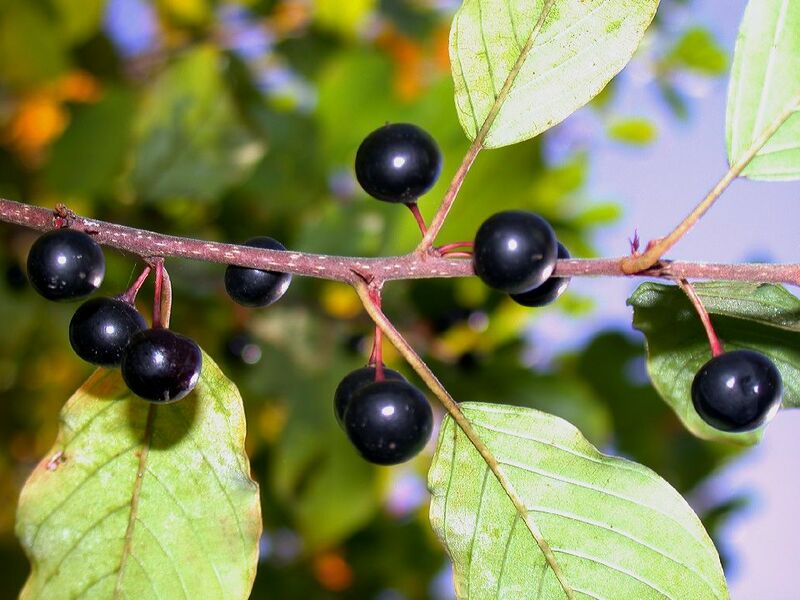 Rhamnus frangula is a shrub to 6 m tall, aggressively colonial by root sprouts; stump sprouts copiously when cut; bark gray, speckled with small whitish dots (lenticels), winter buds naked. Leaves alternate, widest above middle (obovate), entire, to 3-7 cm long, to 4 cm wide, base wedge-shaped, tip abruptly pointed, secondary veins 8-9 per side, pinnate, prominent and parallel. Flowers small, 5-parted, greenish, sexes separate on one plant (monoecious), in axillary clusters of 2-10; blooms May-June. Fruit fleshy, red turning blackish, to 0.6 cm wide, 2-seeded, July-Sept.(Dirr 1990; Rehder 1986), seeds bird dispersed. Shade and drought tolerant, displaces native understory shrubs, leafs out earlier and hold leaves longer than native plants (Tenenbaum 1996; Young 1996). Habitat: Closed, moist to wet forests and edges; soil pH 5-6.5, intolerant of shade, somewhat tolerant of salt (USDA, NRCS 2010). Notes: May be toxic (Kingsbury 1964). Listed as invasive or a noxious by several states (USDA, NRCS 2010).